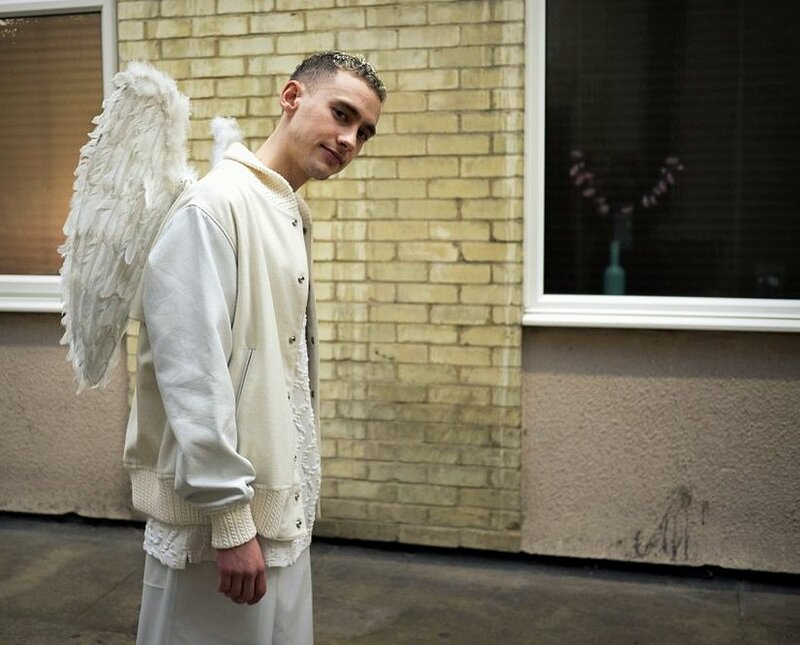 Tumblr has gone CRAZY with pictures and gifs of Olly Alexander's angel look at this Christmas' Top of the Pops. Dressed by the wonderful Coline Bach, Olly wore fantastic angel wings, paired with Clara Martin ss16 Fedell Shorts for an all white look! Thank you, Olly, for sporting Clara Martin and for giving 2015 a very positive end over Christmas! The shorts will be available to buy, very soon, in the shop, but for now, have a look at how amazing Olly looks!